Gauge: 28 st = 10 cm / 4 inches in rib stitch (k1, p1). 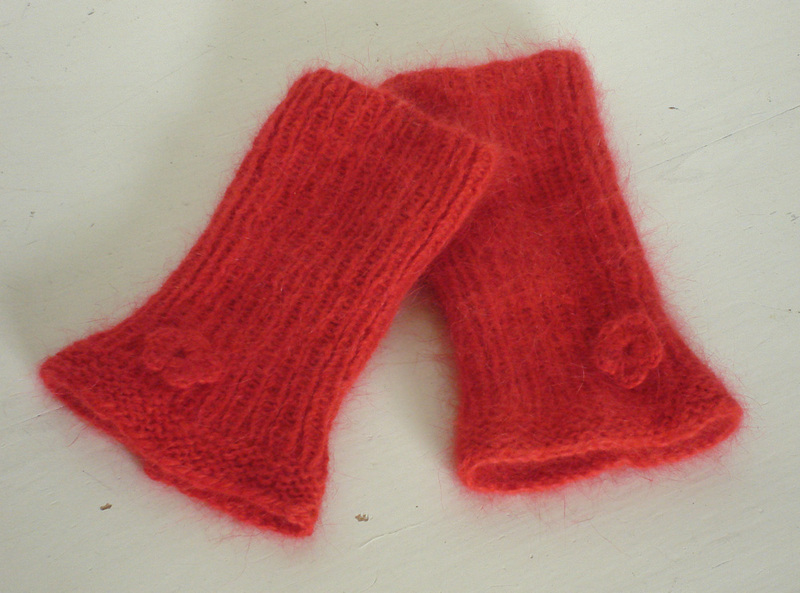 Measurements: The elasticity of the yarn and the rib stitch make these wrist warmers fit many sizes. The length (15 cm / 6 in) is easily adjustable. The width is for wrists of at least 15 cm / 6 in around. 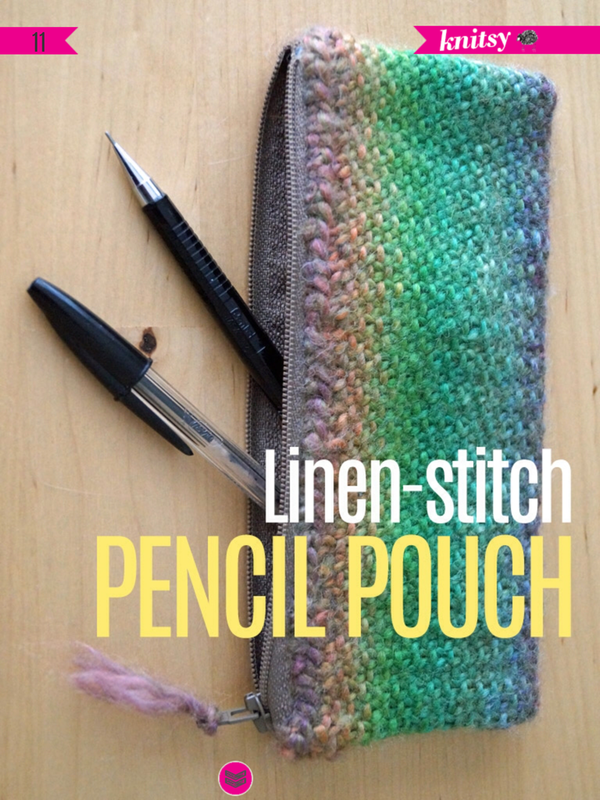 Cast on 44 st, join into a round and knit in rib stitch (k1, p1). After 55 rows change to garter stitch (alternately k one row, p the next) and bind off in the ninth row with nld 5 / US 8 so the rim will be nice and loose. Attach a crochet flower or a button if you like.